Home › Electronics › Taken Iphone 6 Screen Protector - Iphone 6S Tempered Glass - High Definition ..
Taken Iphone 6 Screen Protector - Iphone 6S Tempered Glass - High Definition ..
PROTECTION: The iPhone 6 screen protector, featuring maximum protection from high impact drops, scratches, scrapes and bumps. ANTI-FINGERPRINT: 99.9% High-definition clear hydrophobic and oleophobic screen coating protects against sweat and oil residue from fingerprints. HIGH RESPONSE: Only 0.3mm thick, maintains the original touch experience. HIGH TRANSPARENCY: 96% light penetration ratio preserves the original viewing quality. 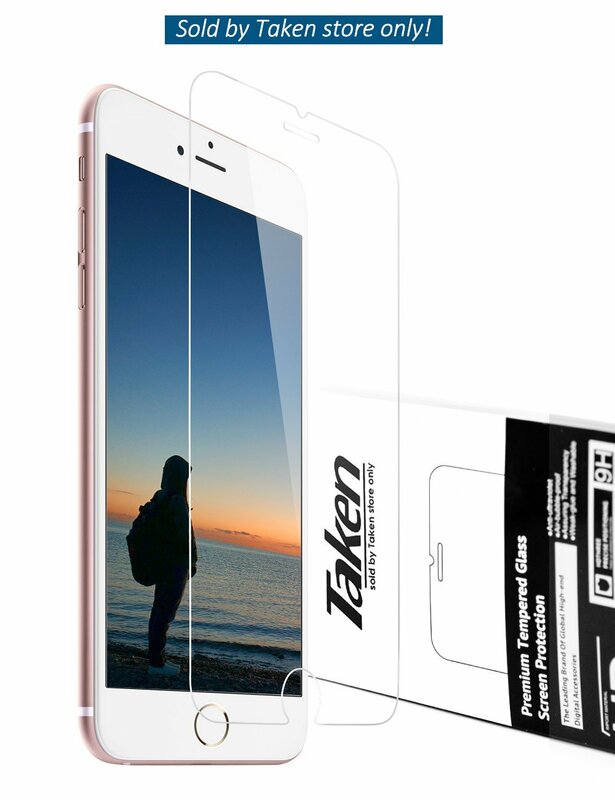 Taken iPhone 6 screen protector, Perfect fit design, Exclusively for iPhone6/6s 4.7 Carry your iPhone 6/6s with complete confidence knowing your LCD isshielded against damage that can result from mishandling, accidental drops,and everyday wear and tear. Natural Screen Experience This iphone 6/6s glassscreen protector features a Surface Hardness (9H), which is 3X stronger thanthe PET film, and providing a natural screen experience you need. LifetimeWarranty - Free lifetime replacement warranty for manufacturer defects; - Full30 days money-back guarantee for any reasons - Lifetime warranty provides easylifetime protection for your tempered glass screen protector. Packagecontents: One Taken Tempered Glass Screen Protector alcohol cleaning pack(wetcleaning paper1) microfiber cloth pack(dry cleaning paper2) dust absorber,instruction manual(Online photo).